2017-12-14: Holiday side quests & special offers, animated backgrounds, new side quests & option to skip side quests for a price. Being an Idle game, there’s not really much you can do “wrong” in an impactful sense, so explore your options. Avoid wasting Gems early on, but Tokens and Coins can be freely spent like trash and Scraps, while important, are hard to spend “wrong”, at worst it’s “not optimal”. Get a feel for your heroes’ skills and spend your first set of skill points evenly; see how the skills feel, what they do. Saving your ults for bosses is usually best, but some recharge so quickly or are so effective at groups they’re better spend to progress through waves. Your first goal is to simply progress through stages until Stage 62 where you get the Compass; this will allow the game to beat Stages, not just earn money, while idle. This makes future Prestige resets much less problematic. By Stage 62 you’ll also have a fair grasp on Almost A Hero and a good selection of heroes. Every time you Prestige you should check out the Timed Challenges. Sometimes they will simply be impossible until further progress is made (all permanent progress affects both modes; Timed and Adventure), but when you can you can unlock some important goodies by beating a challenge. After collecting most of the heroes you’ll want to fill everyone’s Item slots; any time you can you should open the Free chests (every 4 hours). After a few days’ worth of chests you should have all 3 item slots filled for a few of your heroes, making them ready to Evolve. I try to Evolve my heroes roughly together, but better heroes like Vexx take priority. Ads aren’t critical to watch, but Gems are generally worth the effort. Tokens you’ll often get more than enough of later on, and Scrap is limited and very needed, so I’ll usually watch the “dragon” ads for scraps as well. By Stage 306 you should have a large-ish supply of Gems from Achievements and Quests, I find these best to spend on Epic Chests. By getting Epic items you can drastically cut down on the amount of Scraps required to Evolve and improve heroes items. Trinkets can be bought with Aeon, and I don’t find them (initially) as useful as Items, so I would avoid spending Gems on those at first. You get a few free Trinkets from Stage progression anyway. I’m currently at stage 400 without buying anything, so while the game slows down (as they all do!) and bosses start to hit like trucks, there are generally ways other than paying to keep pushing forward. What you lose: Coins, current level for Ring/Character, and progress through stages. What you keep: Basically everything else; scraps, runes, items, rings, heros, Mythstones, gems, unlocks. Almost A Hero is very generous in it’s prestiging in that there’s almost no loss at all other than starting over from stage 1 and re-leveling your (almost) heroes. It’s not good to prestige too often as always, but this is one of the most friendly games you’ll find in regards to prestiging. If things are too slow or you just want to try new heroes it’s worth a shot. Prestiging is also a chance to re-spec your characters’ skill points, and you can get back to just about where you left off quite quickly especially with the Compass item. I wouldn’t recommend prestiging for the first time until the Compass is acquired (stage 62, which is very possible to reach without prestiging). There are 11 idiots heroes to choose from, all with their on quirks and features. Some are better than others, but any team can do decent work together. Hilt is your basic hero, useful on any team. His Ult recharges fast and Reversed Excalibur is extremely useful for stunning enemies. Vexx is ridiculously good, probably the single best character. She deals high damage but gets tired after a few swings, having a sort of reload feature. But as her skills increase she’ll get tired less often, swing faster, and all around become one of your most reliable damage dealers. Her ult is also very useful for being able to potentially take out multiple waves. Based all around risk-reward, Badlad hurts himself and his team almost as much as enemies. It’s an interesting style, but not one I find very effective personally. 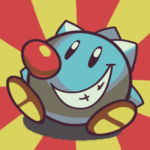 Despite his description as one of the worst people you’ll meet, Belly is a heck of a meatshield and hastens your allies’ revive timers by taking a beating once his skills are raised enough. His ult is also surprisingly effective for a Defensive hero. One of my top options for a defender. Another Defensive hero, Sam can make himself invincible during his ultimate and can shield the whole party with his active skills, and he also comes with the obligatory aggression-drawing skills. He’s effective, but I find Bellylarf a bit better personally due to his regen, better ult, and revive-shortening. A standard-ish offensive Mage, Wendle’s skills are focused on dealing more damage in mostly simple ways. He can also buff your Ring damage. I prefer to bring Hilt along instead, they’re rather similar. Half Attacker half Defender, Lenny does good damage but also has a skill that heals himself + one ally, buffs team damage after a kill, and buffs his own health. His ult is pretty good and recharges quickly. A safe inclusion when you’re unsure who to fill a slot with. An Attacker with decent Support abilities, Lia does alright damage and increases Goblin treasure finds. She’s not a main pick for me, but she can be good to fill a slot with since her dodge/self heals keep her alive a bit longer and her damage output is okay. V is your standard thief with a supporting role. Most importantly, V will increase your monetary rewards through stealing and a general gold increase skill. She can also reduce enemies defense, dodge attacks when at low health, and has some nicely opportunistic skills to target stunned and low HP targets. As a bard Jim focuses all on helping your team mates. His ult is interesting in theory speeding up the team’s other ults, but I don’t find it worth the effective loss of 1/5th of your ults. I don’t find him very effective, but also haven’t used him much. Tam is loaded with support options. I haven’t quite figured out his niche yet, but he helps your other heros kill things, so that’s nice. Note that passive skill effects like “increase gold earned” still take effect even if the character is KO’d, as long as they’re purchased. Skill list is too big to add rn, I just wanted to be sure I wrote that down before I forgot. Heroes can be Evolved in the Items menu; tap them in the Heroes menu as if you were going to upgrade a skill, then tap Items at the top. Evolution requires all 3 item slots to be filled with items of the same Tier as the evolution. Items are earned from Chests and given at random. Items are only ever upgraded, never downgraded, so you’ll always make progress by opening chests. Common chests usually give common items but can give at least up to Legendary items. Rare chests guarantee one Rare item (and IMO, aren’t worth it). Epic Chests guarantee at least one Epic item (often two in my experience). If you’re going to spend Gems I generally recommend only buying a couple Rare chests early on to fill item slots, then saving for Epic Chests to guarantee more useful items (and potentially earn Runes too). Evolving buffs both Damage and Health permanently, as well as giving a cosmetic change. The buffs listed upon evolving are the total buff, so if it lists +500% upon evolving, the unit has +500% base. You can tell which tier a character is by the border/color of their portrait. To evolve you must have all 3 items for that character at or above the Tier you want to Evolve to, for example 3 Uncommon or better items will allow you to upgrade to Uncommon. You can upgrade existing items with Scraps or hope for them in Chests to evolve. Runes are equippable items that you can attach to your Rings to augment them. Runes are earned through Stage Progress (fixed Runes) or Epic Chests (random Runes). You’ll never get a repeat Rune, only ever a new one. Like most mobile idle games, Almost A Hero has a robust series of rewards systems ranging from Achievements to unlocks. All of them are important to some extent and certain currencies are best (or only) obtained through specific reward structures. 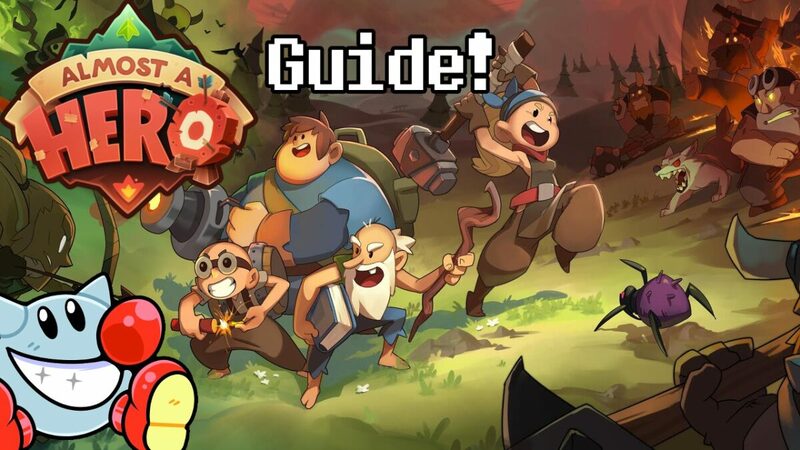 The bread and butter of progress in Almost A Hero are “Quests”; upon reaching a certain Stage in the game you’ll be awarded with everything from currencies to Heroes to new game features. Timed Challenges are basically Quests in the separate Timed mode. Tap the Home tab at the bottom of the screen to switch between Adventure (the main mode) and Timed Challenge. Each Timed Challenge you complete has a special reward which, like Quests, ranges from currencies to Heroes to Merchant items. I wish I could tell you there weren’t a gachapon/lootbox element in Almost A Hero, but there is. It’s not the worst by far, but it’s also not the best. You certainly don’t need to pay merely to advance though. Very worth it once you have enough gems from achievements/ads/Quests. Rarity of the non-guaranteed items seems a bit better too. Also in the Chests section of the shop are Mines. The Scrap Mine unlocks at Stage 246 and the Token Mine unlocks at Stage 395. The Scrap Mine gives scraps (surprising, right?) which will make Evolving heroes easier. It also multiplies your Gold earnings which is a very nice benefit. Unlocked at Stage 395, the Token mine gives Tokens which might seem less cool than Scrap, but this means you can use a ton of Merchant items very freely. At least as importantly, it also buffs damage/health instead of gold income, very useful since bosses will be hurting a great deal at this point in Almost A Hero. The tiers are identical to the Scrap Mine, they just have different benefits. Achievements all have 5 tiers (common, uncommon, rare, epic, legendary) and give increasing rewards of 15, (? ),50, 100, 500 Gems. Tap X times, usually from spamming taps to use the Ring. Frequently when starting Almost A Hero you won’t immediately get your idle progress/coins and Treasure Chests will show “waiting for server”. Tapping the ingame “house” icon then returning to Adventure usually immediately triggers the idle earnings and makes the Treasure Chest connect.